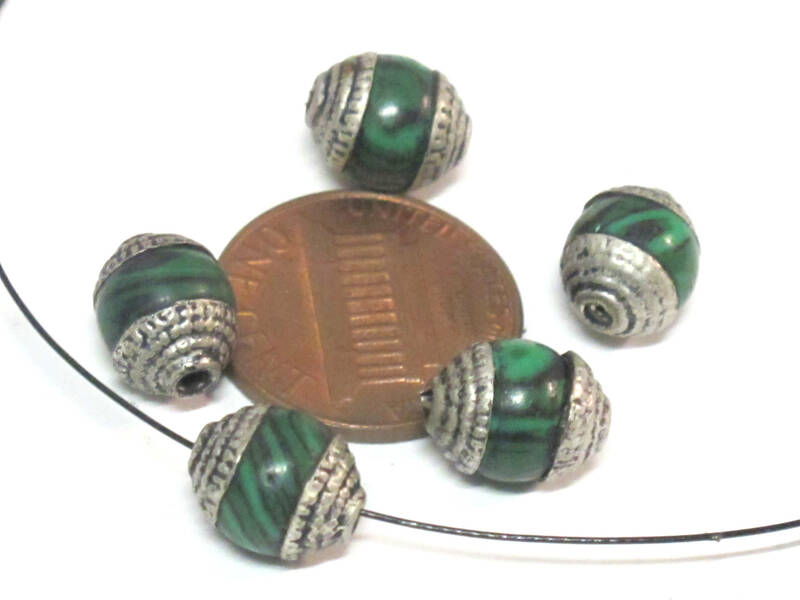 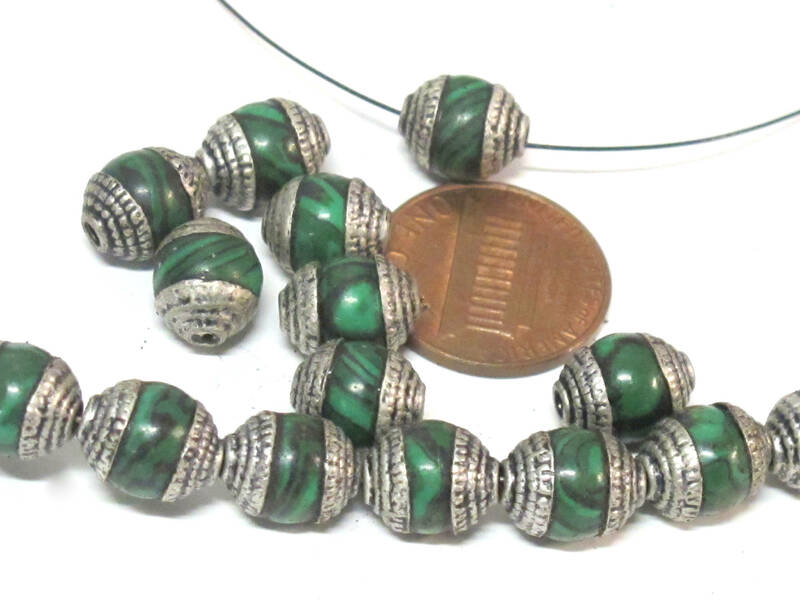 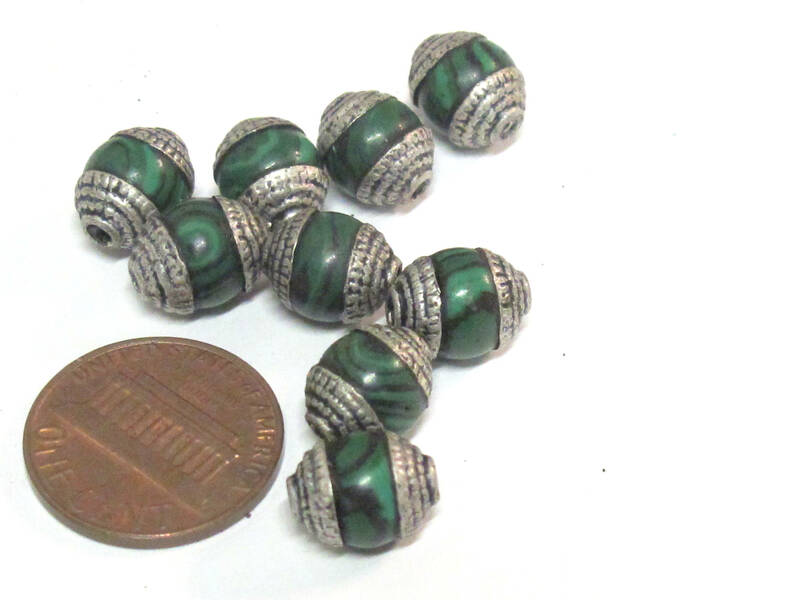 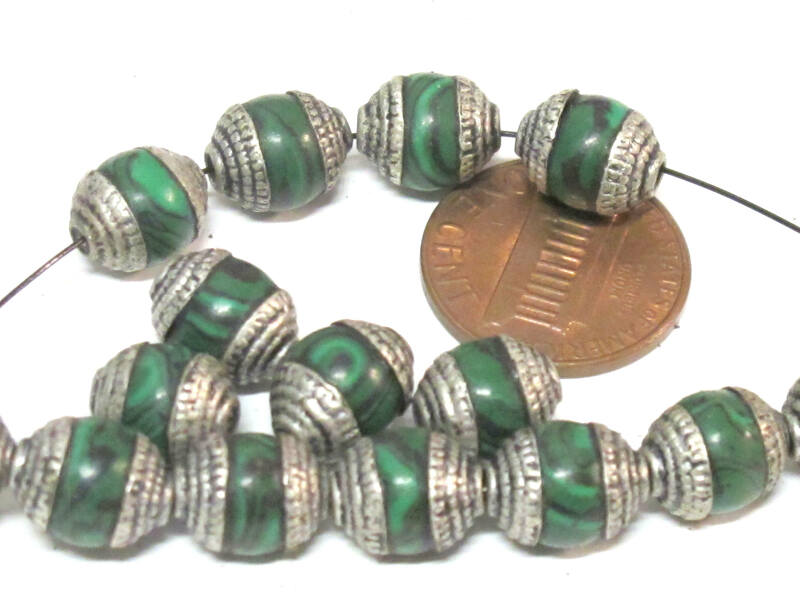 Tibetan silver color capped synthetic green malachite gemstone beads from Nepal. 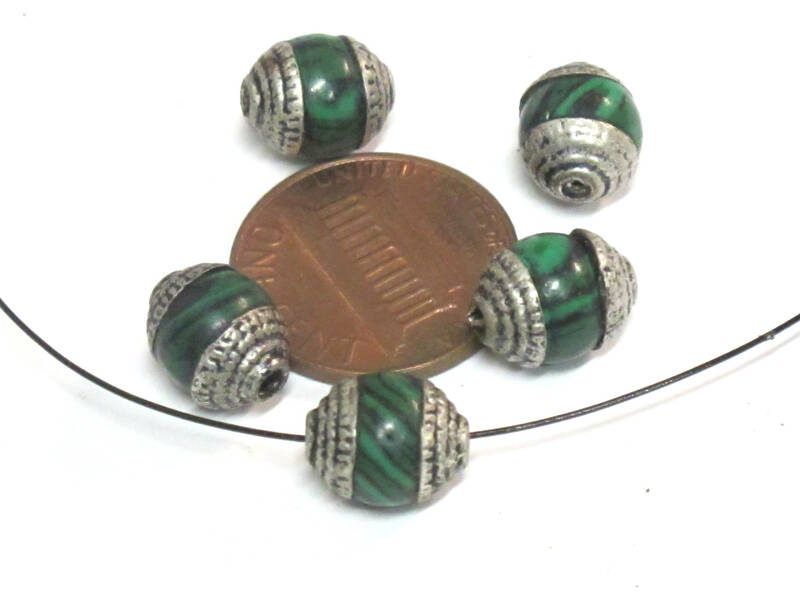 Bands/ marks / deposits/ will differ from bead to bead. 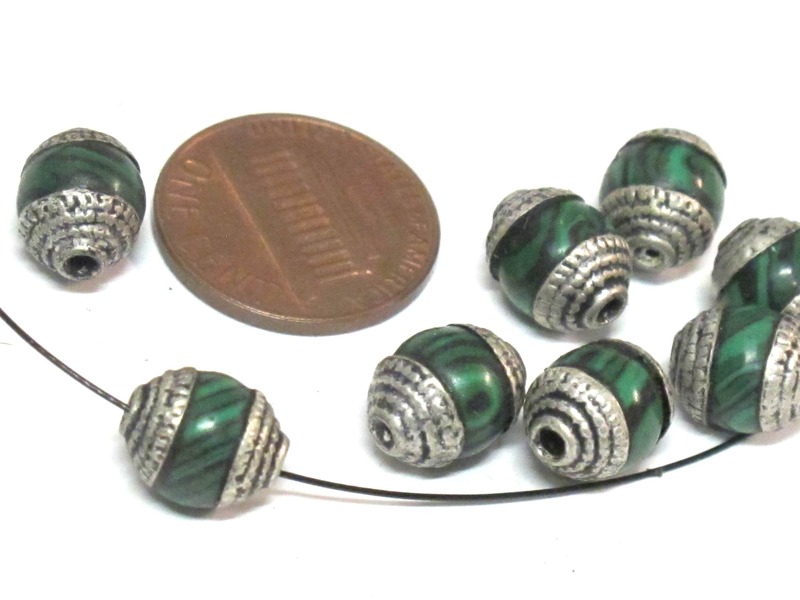 Since these are handmade each piece may vary slightly from the other.